You can probably skip this point. Windows firewall is turned on by default, and you are probably protected behind a router. By default you get a message on your screen when an update is available for your operating system. Download and install it, and restart the computer when required. This is overlooked by far too many! I already touched upon this in the New To NXT article. If you have important data, it’s important to backup. This goes without saying, but many people forget, so it deserves to be mentioned here anyways. This does not only concern your NXT private keys! If you have something of importance on your computer that you haven’t saved elsewhere at this very moment, you should back it up immediately. Put all important documents in a folder and copy the folder onto a USB stick or an external harddrive. A rule of thumb is: Important data should always be kept in at least 2 places. It’s a good idea to encrypt the USB disk or external harddrive. This can be done in TrueCrypt. Documents holding Nxt private keys and other passphrases should always be encrypted. But what if someone steals your computer and also takes your backup harddrive? You can use a program to make online backup. This transfers your data to a server somewhere in the world, and even if your entire house burn down, or if everything is stolen, you will still have access to your data. BUT… Don’t choose any cloud service! German researchers from the Fraunhofer Institute for secure information technology has investigated Dropbox, Cloudme, Mozy, Ubuntu One and three other cloud-based storage services. 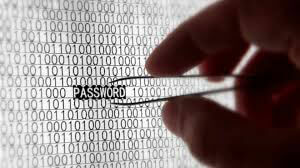 Their report, “On The Security of Cloud Storage Services” shows that, in most cases the security is inadequate. Therefore they recommend that you encrypt your data with programs like TrueCrypt, EncFS and GnuPrivacyGuard before uploading them to the cloud. The report also refers to possible legal problems if you choose to store your data with a provider with headquarters in the United States. There is a risk that the authorities, under the so-called Patriot Act, requires your data handed over. The same can be applied to European cloud providers. Based on criteria such as security, ease of use, price and opportunity for anonymity, I recommend using Mozy. The free version allows you to back up 2GB of data. If you have more than one hard drive connected, it also allows you to make offline backup (without encryption). If you by mistake delete a file, it can be recovered within 30 days. And if you regret any changes that you made to a text document, the document can be restored to the earlier version. The backup data is encrypted, both when sent over the internet, and when stored on Mozy’s servers. If you follow these instructions, even Mozy should not be able to access your data, as they don’t know your password. However, you should be aware that the filename of your documents can still be seen, if you don’t encrypt them. A simple and user-friendly choice. It’s recommended to deselect the toolbar offered during installation, and all other unnecessary. An advanced antivirus program with many features. During the installation, you should opt Avast! Remote Support, and everything else you don’t want installed. The registration must be renewed annually, which can be done by entering any true or fake email address, if you want. The so-called “Mail Shield” may provide some pop-ups when using encrypted email. And btw – you shouldn’t register Avast through a Facebook account. Generally these free antivirus programs work just as well as the paid for programs. Remember never to have more than one antivirus program installed at a time! Unfortunately the anti-virus technology has only limited effectiveness.